Brandy & Mase: Couple or Not?? 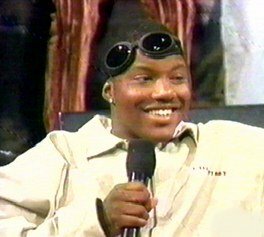 I previously reported on 6/20/98 that from an article that I saw in Vibe magazine reported that Ma$e and Brandy were officially "a couple." Brandy had an interview with the magazine earlier that month, and her mother even commented on the situation, saying that she DID approve of her daughter's new boyfriend. The rumor had been circulating ever since the two did a duet together called "Top Of The World." The magazine was just confirming the reports. Just as recent as 7/11/98, many of you have sent me email saying that Brandy appeared on Hot97 saying that she did not go with Ma$e and that they were just friends, she had a crush on him, that was all, etc... But here's the deal.... It could be a possibility that they did go together for a short time, and then broke up, or maybe Brandy was getting publicity from her new album release and didn't want her personal life to be a part of that, and tried to mislead the public by telling them that she doesn't go with Ma$e, in order to protect her privacy. My thing is this....Why would she have an interview with Vibe magazine saying that her and Ma$e go together, and then weeks later, come on Hot97 saying that she no longer goes with Ma$e?? This is just my opinion, and I don't know what to think now, so I'll let you help me. Vote below to make your view on the matter known!! Thanks!! Brandy & Ma$e: Couple or Not? Based on the information given above, Do you think Brandy & Ma$e are a couple?